The new system will include upgrades on the existing 30-year-old tolling technology, allowing drivers to pay with cash or credit cards on a machine. WASHINGTON — Tolling system upgrades on the Dulles Toll Road could lead to some detours and delays over the next six months, and also allow for future changes in how tolls are charged. Among the capabilities of the new system — although there are no immediate plans to implement it — is a feature that would allow the authority to charge different toll rates to drivers using an E-ZPass than those paying with cash or to set other “differential pricing,” according to Metropolitan Washington Airports Authority Board briefing documents. “The new enhanced toll collection system will be fully operational in early 2019 offering greater flexibility for future Board of Directors’ decisions,” according to a presentation that was set to be given Wednesday. The new system would include upgrades on the existing 30-year-old tolling technology to allow drivers to pay with cash or a credit/debit card using a machine rather than only when a toll taker is present. Improved E-ZPass readers, digital signs to label cash or E-ZPass lanes, and improved IT security standards are also among the upgrades. Eighty-eight percent of Dulles Toll Road revenue comes from E-ZPass users, while 12 percent comes from people paying with cash. In 2017, there were 97,089,912 toll transactions on the road. About one in three of those payments were at the mainline plaza, where $84 million was collected; $49 million was collected from tolls at on- or off-ramps. Current toll rates are $3.50 for drivers who use one ramp ($1) and the main toll plaza ($2.50) under an agreement tied to Silver Line construction that has kept those toll rates flat for several years. Airports Authority budget projections call for an increase in the combined toll to $4.75 next year, with tolls potentially rising to around $6 by 2023. Vehicles with more than two axles would pay higher tolls. Initial testing on pieces of the $23.4 million toll system upgrades is being finalized now, and full installation of the new system is planned to run from April through September. Testing of the full system would run from September through January. During construction, toll lanes at on- and off-ramps will be closed. 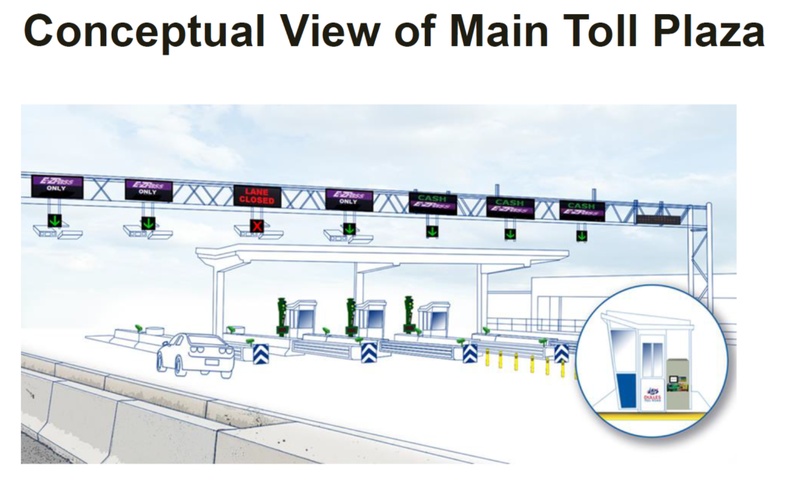 Each lane with tolling is expected to take about a week to upgrade, with the exception of the E-ZPass-only lanes at the mainline toll plaza, which could take about two weeks. For the ramps, crews are expected to work seven days a week from opposite ends on the eastbound and westbound sides. Construction is planned to be done one toll lane at a time where possible to help keep traffic moving. 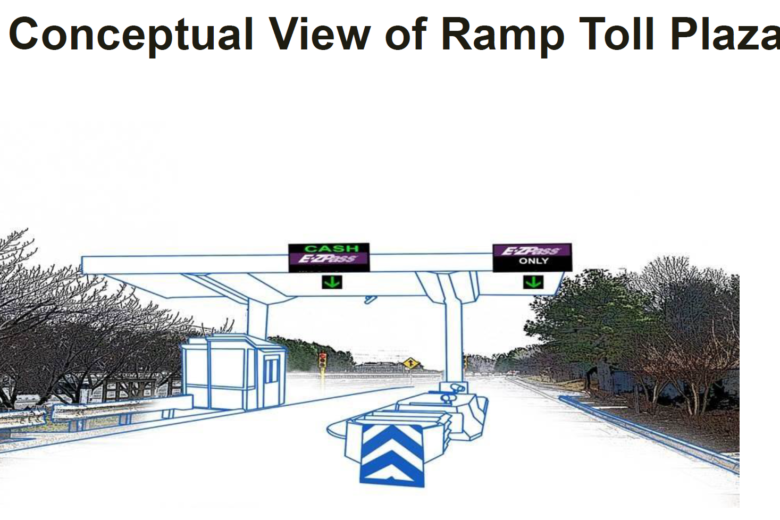 With Wolf Trap’s summer season scheduled to start in late May, the authority hopes to focus first on the full-service lanes at the mainline toll plaza to ensure they are available during major events. The construction plan calls for a minimum of two lanes accepting cash to be open at all times in each direction at the mainline plaza, even when one of the other lanes is closed for construction. The Airports Authority believes most construction delays tied to the work will be relatively minor.